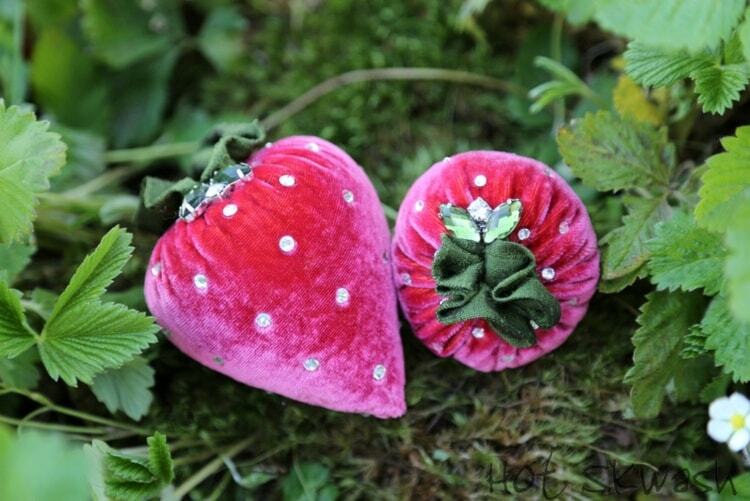 Holiday Velvet Strawberries. 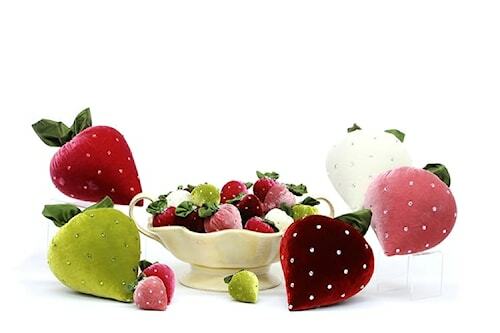 Set of four includes the following rich colors - one medium cherry, one medium rose, one medium guava and one small chartreuse. All are decorated with Swarovski crystals. 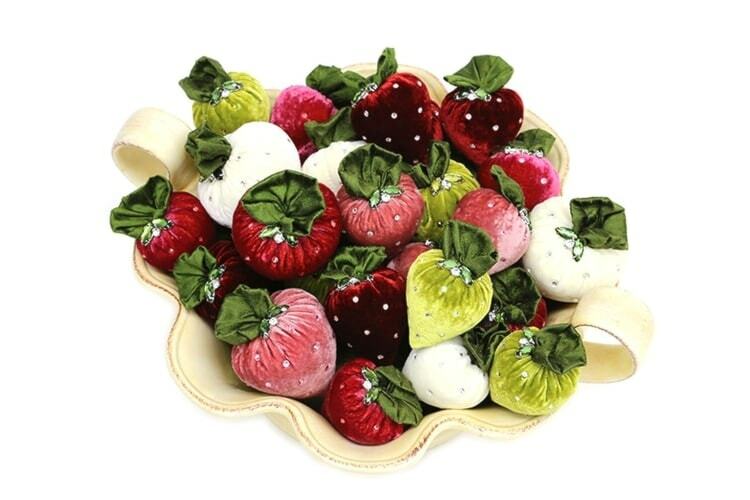 Beautiful accent for your dessert table or a gift at Valentines.